Christmas 2018 Highlights – Bounce Sales & Marketing Ltd. 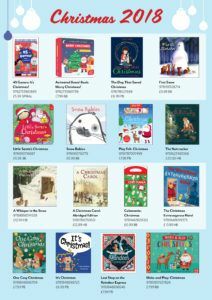 Check out these great titles from our clients that are perfect for the season. Download the flyer, fill in the attached order form and contact your local Bounce rep to discuss a great discount. Bounce Sales and Marketing Ltd.
Website by Bookswarm. Site powered by Supadü.